Some reorganisation of channels happened!There's now the category archive where I moved some obsolete and/or unused channels. These channels are read-only if you need to extract information, however are subject to deletion. 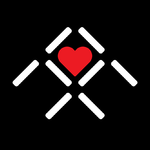 We'll probably keep them in archive for a few months.Moreover a new channel #resources popped up from the horizon - shiny and new, it's experimental to see how much demand is for it - Here you can post things you found useful along your journey of programming - stuff you didn't make but you think may help out others. Not for advertising your own stuff. Also definitely not for chatting.All these changes were suggested by the community in #meta - if you have a say, feedback or advice regarding something, go there and explain yourself!Have a good day! Thank you very much, and yes, the addition of 'Community' and and the 'admin edit' is excellent and clear. I hope anyone will feel welcome and have a great time! Enjoy computing, mining and crafting! Admin edit: This is a project run by HydroNitrogen, the OC Staff Team do not have or exert any control over it. Introduction: Hey all! A long time ago, I started an OC/CC Discord server, and it was and still is a big success. We've helped numerous people with their problems quickly, laughed together, discussed ideas and shared cat pictures with over 150 members! A not so long while ago I re-launched a new version of this OC/CC Discord with more properly optimized structuring, clean looks and correct configuration to give you the best experience. This new server is targeted to Minecraft Computer Mods in general. We have CC enthousiasts, OC enthousiasts, and even programmers who just are into Minecraft in general. This Discord is unofficial and not oficially related to ComputerCraft, OpenComputers or RetroComputers. About the server: This server focuses on providing a quick and talkative chat based place for people with interests in ComputerCraft and/or OpenComputers to interact, ask for help, show creations and more. Everyone is welcome here and banning or kicking shouldn't be necessary. Still, some people may push limits and therefore we have to enforce simple rules. Do not harass, excessively insult, act annoying, spam or post malicious content. These rules can be interpreted in a lot of ways, but as long as you don't have malicious intentions, you don't need to worry about it ;). To help you during your stay we've specified a few distinct places to chat, called channels. We provide the following channel structure: INFORMATON - #welcome -> In this text channel you can view relevant information regarding channels, roles and rules. - #news -> This channel wil present you with occasional (important) updates regarding the Computer Modding community. For really rare special events, an @everyone ping may be used. COMPUTERCRAFT - #computercraft -> For discussing anything directly related to ComputerCraft. Here you can ask for help, share ideas and more. OPENCOMPUTERS - #opencomputers -> For discussing anything directly related to OpenComputers. Here you can ask for help, share ideas and more. LISTS AND ADS - #creations -> Here you can advertise your creations for both OC and CC. You should only post one message per creation with a link to a forum post if available. This channel is not for chatting, only for posting! - #resources -> Here you can advertise your creations for both OC and CC. You should only post one message per creation with a link to a forum post if available. This channel is not for chatting, only for posting! OFF-TOPIC - #everything -> For anything, literally anything that is not directly related to ComputerCraft or OpenComputers. You can talk other mods here, or post a picture of your cat. We're still the internet. - #meta -> The meta channel is for anything regarding this Discord itself. Found something wrong, weird or have ideas how this Discord could be better? Share and discuss them here! That are all the text channels. Moreover, there also exists a voice channel voice for those of you who must speak out loud. 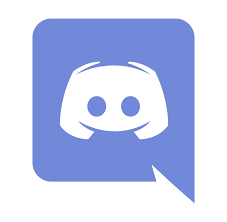 Joining the Discord server: CLICK HERE TO ENTER THE DISCORD SERVER (as of writing we have 300 members and are still growing!) I hope everyone can benefit from and enjoy their stay in the Discord servers. Idea's, issues and feedback should be posted in the Discord itself! See you there!